People are being encouraged to show their support for a new scheme to support elderly, vulnerable and isolated people in our communities. Daventry District Council (DDC) is working with Northamptonshire ACRE (Action with Communities in Rural England) to develop Good Neighbour Schemes in villages across the district. 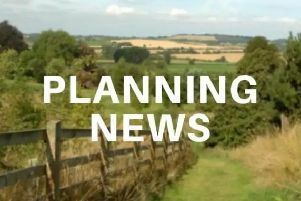 Northamptonshire ACRE has applied for funding from Aviva’s Community Fund to help pay for the scheme but needs public support to help secure the money. People are being encouraged to vote for the project before the November 18 deadline to give it the best chance of securing the money. The scheme will see Good Neighbour co-ordinators established in villages across the district, who will be on hand to provide day-to-day support for other residents who may need help on an occasional or regular basis. If secured, the funding will help pay for a laptop and mobile phone for each coordinator as well as covering training and other expenses. It could also be used to help villages wishing to set up community car schemes. The idea of the Good Neighbour Scheme came out of consultation workshops towards developing DDC’s Ageing Well Strategy, which gathered the views of people living across the district in order to identify key issues. Councillor Alan Hills, portfolio holder for community, culture and leisure, said: “The consultation identified a number of key priorities for older people, including the importance of being able to maintain an independent lifestyle, access to welfare and benefits advice, and the availability of help with gardening and household chores. “The Good Neighbour Scheme would seek to meet these priorities, giving elderly and vulnerable residents someone in their village that they can contact in times of need. “Whether it be help with dog walking, shopping, using a computer, or putting people in touch with professional or voluntary support services, the aim is to give those in need a helping hand to allow them to maintain a good quality of life.